You probably know that losing a tooth can change how you see yourself and diminish your quality of life. You may not know that it can also impact your remaining healthy teeth. When missing teeth are not restored, neighboring teeth can shift, and healthy jawbone will deteriorate. Fortunately, dental implants can provide a solution for one or more missing teeth that doesn’t require you to compromise the structure of your other teeth. Considered the ideal restoration method for many situations, the best dental implants offer far more benefits than their peers. Dental implants provide worry-free tooth replacement. Unlike conventional dentures, they will never loosen, slip, make strange noises, or fall out unexpectedly. Single implants are not the only option; implant dentures can be created to attach to implants anchored into several upper or lower teeth. Implants help retain the natural shape of your face after tooth loss. Missing teeth lead to jawbone deterioration, which can make your face sag and look prematurely aged. By preserving existing bone and stimulating bone growth, implants keep you looking like yourself longer. Dental implant surgery delivers more reliable and predictable results than other restoration options such as root canals, removable appliances, and fixed bridges. Conventional bridges and dentures often lead to gradual bone deterioration. Dental implants prevent bone loss and help preserve oral health. Bridges supported by natural teeth may only last for five to ten years. With proper care and maintenance, the best dental implants can last for decades. Dental implants never have to be removed for soaking or cleaning; like natural teeth, they stay inside your mouth where you can brush and floss them normally. Implants don’t interfere with speaking. You can eat your favorite foods without fear, and you’ll enjoy their full taste and texture. The dental implant procedure doesn’t alter your healthy teeth. Tooth-supported bridges require the grinding down of adjacent teeth. Your dentist can help you choose the best dental implants to replace your missing teeth. Visit a qualified dentist or prosthodontist to find out how implant surgery can restore your healthy smile. To learn about our family dentistry practice in Abingdon, call Dental One Associates of Bel Air today at (410) 698-1674 or make an appointment. Dental One Associates offers affordable family dentistry and gentle, compassionate dental care in Abingdon. With 12 affiliated practices throughout Maryland, our offices are conveniently located with extended hours to meet your needs. At Dental One Associates of Bel Air, we provide most dental services, from basic preventative care and general dentistry to specialized procedures and complete dental reconstruction. We accept most dental insurance plans and offer affordable financial solutions for any budget. Patient satisfaction is our top priority and we strive to provide the exceptional, affordable dental care and personal touch that lead to lasting relationships. A smiling patient is our greatest reward and we look forward to keeping those smiles healthy, beautiful, and bright. 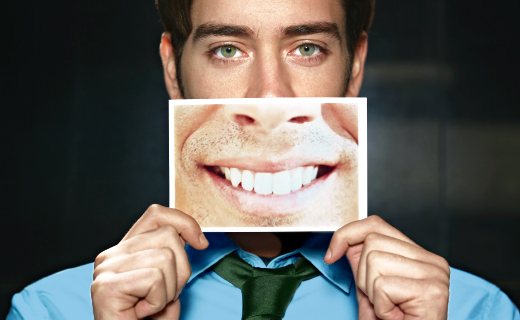 Discover an affordable dentist who truly cares at Dental One Associates of Bel Air. I love Dr. Blaney and Nancy. My dental hygeniest was thourough, and confident in her ability . Also, my hygeniest was welcoming , happy and engaging . Because everyone is so nice and puts patients first. Had a cavity filled and felt no pain. My last dentist was horrible so I am so happy I changed over to Dental One Associates. Dr. Blaney is great and eases my anxiety. No waiting time for appointment. Skill & personality of Tammy, my Hygienist. She is always so caring and reassuring. I was not scared and the dentist made me laugh. Because of warmth of the people in the front area and the care and concern of the dentist and his aide shown unto me! Service was in a timely manner. Facility is clean. Dr. Blaney was knowledgeable. Everyone is always so nice and very personable. its a warm and friendly atmosphere….. The staff is friendly and they expedite you quickly There is very little waiting around.